In a Nutshell: Although banks and credit unions have fundamental differences in the ways they operate and serve consumers, the same regulations typically govern both financial institutions. While grouping these financial service providers works in some circumstances, their differences can cause issues with certain regulations. In those cases, the Mountain West Credit Union Association (MWCUA) works to advocate for the rights of member credit unions in Colorado, Arizona, and Wyoming. The Association focuses on advocacy and federal lobbying for the regulatory breathing room its member institutions need to provide affordable services to the members and communities they serve. In recent years, credit unions have come under fire from for-profit banks that want to undo the tax-exempt status credit unions depend on. The MWCUA has worked tirelessly on this front to maintain the current operational structure needed to give consumers a choice over where they conduct their financial transactions. Massachusetts passed the first credit union law in the US more than 100 years ago in an attempt to give consumers an affordable and more localized institution where they could save and grow their money. At that time, few people could imagine that these not-for-profit establishments would grow so large that some would hold tens of billions of dollars under management. While that growth has been great for credit unions and their members who benefit from the community givebacks and greater interest rate savings credit unions offer, the expansion into new services hasn’t always been popular in the financial industry. Some large banks oppose credit unions’ tax-exempt status, as well as the other perks handed down through government regulation to help these institutions offer their services to more consumers. The opposition from trillion-dollar for-profit entities has led to multiple battles in judicial courts and in the court of public opinion over the years. 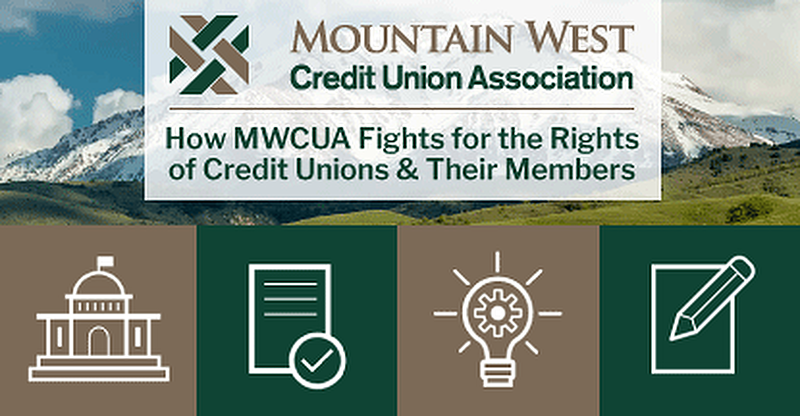 Throughout the process, the Mountain West Credit Union Association (MWCUA) has advocated on behalf of a coalition of credit unions in Colorado, Arizona, and Wyoming. The Association works to organize the group in a united front to defend credit union laws. The MWCUA was established in 2011 with the merger of three state leagues — Arizona, Colorado, and Wyoming — that begun in the 1930s. The explosive growth of the credit union movement changed those organizations’ focus in the 1980s to include extensive federal lobbying work. Merging to form the MWCUA was a way to maximize impact and resources for the three states. 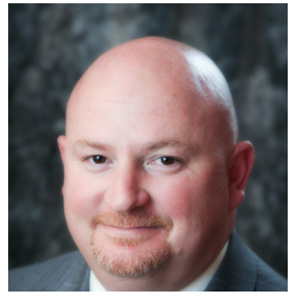 Scott Earl, President and CEO of MWCUA. The organizations’ efforts were especially effective in the early 1990s, when they joined forces with the Credit Union National Association (CUNA) to fight back when banks placed greater pressure on legislators to overturn laws that benefited credit unions. The Association had to increase its lobbying activity in response to those attacks and successfully fought for its member credit unions’ rights to continue to operate under their current business models. That fight continues today. Although the MWCUA’s main priority is advocating for credit union rights, the Association’s work impacts not only the institutions, but residents in all communities who may not even belong to a credit union. By keeping interest rates low, larger banks must follow suit to compete for new customers. That competition positively affects all consumers who want to grow their savings or take out a loan with an affordable interest rate. Chris Kemm, Vice President of Political Affairs for MWCUA. The ability of credit unions to keep interest rates low and savings rates high start with MWCUA’s advocacy, which Earl said is the Association’s top priority. 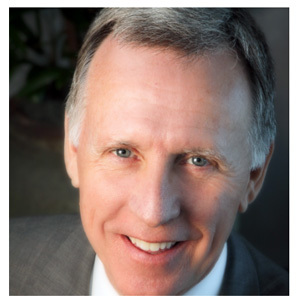 Kemm said the Association closely monitors all new laws and regulations to be certain they don’t negatively impact a credit union’s ability to serve its members. That lobbying also includes working to modify existing laws that intend to regulate banks, but have unintentional negative impacts on credit union operations. The credit union movement over the last three decades has resulted in millions of new accounts opened at local institutions. While the push during that time focused on getting the word out at the local level about credit unions offering better rates, the emphasis now is to make consumers aware of what credit unions do — not necessarily what they offer. The Association calls its campaign to raise awareness about what credit unions are, what they do, and how they best serve their communities and consumers Advocacy 365. The MWCUA is also collaborating with the Credit Union National Association (CUNA) on an upcoming national digital-first campaign called “Open Your Eyes to a Credit Union” that rebuts major credit union myths and invites consumers to consider credit unions afresh. The Association runs events and workshops through its MWCUA Foundation to educate current credit union employees and members, as well as create a strong foundation that promotes future growth within the nonprofit financial industry. Earl said the foundation’s recent focus centers on leadership training and initiatives for the next generation of credit union leaders. While MWCUA is making sure the future of credit unions is in good hands, its advocates still work to make sure it accounts for the present. That action can have broader impact than most consumers realize. If the federal government overturns current regulations, the competitive balance that helps create today’s rates and services can come unglued. For that service to continue, associations like the MWCUA rely not only on the cooperation of their member credit unions, but on the further education and awareness of credit union members, whose individual voices add up to a valuable tool for getting the attention of legislators who will decide the future of the financial industry.